It is settled that court cannot grant a relief not prayed for in the pleadings, or in excess of what is being sought for by the party. They cannot also grant a relief without first ascertaining the evidence presented in support thereof. Due process reconsiderations require that judgements must conform to and be supported by the pleadings and evidence presented by the court (Development Bank of the Philippines v. Teston G.R. No. 174966 February 14, 2008, 545 SCRA 422, 429). Due process considerations justify this requirement. It is improper to enter an order which exceed the scope of the relief sought by the pleadings, absent notice which affords the opposing party an opportunity to be heard with respect to the proposed relief. The fundamental purpose of the requirement that allegations of the complaint must provide the measure of recovery is to prevent surprise to the defendant. (d) Extent relief to be awarded.- A judgement rendered against a party in default shall not exceed the amount or be different in kind from that prayed for nor awarded unliquidated damages. The raison d’etre in limiting the extent of relief that maybe granted is that it cannot be presumed that the defendant would not file an Answer and allow himself to be declared in default had he known that the plaintiff will be accorded a relief greater than or different in kind from what sought in the Complaint. (Herrera, Oscar M. Remedial Law, Vol. 1, 2007 Edition pp. 821-822, citing Lim Toco v. Go fay, 80 Phil. 166, 169-170 (1948). No doubt, the reason behind Section 3(d), Rule 9 of the Rules of Court is to safeguard defendant right to due process against unforeseen and arbitrarily issued judgment. This is a kin to the very essence of due process. It embodies the “sporting idea of fair play” and forbids the grant of relief on matters where the defendant was not given the opportunity to be heard thereon (Diona v. Balanque, et al., G.R. No. 173559, January 7, 2013. Del Castillo, J.). 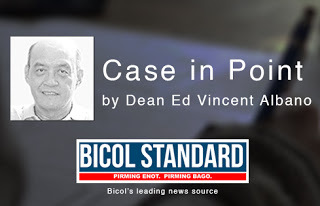 In the case at bench, the award of 5% monthly interest rate is not supported both by the allegations in the pleadings and the evidence on record. Dean Albano is the proprietor & Bar Review Director of Albano Bar Review Center.